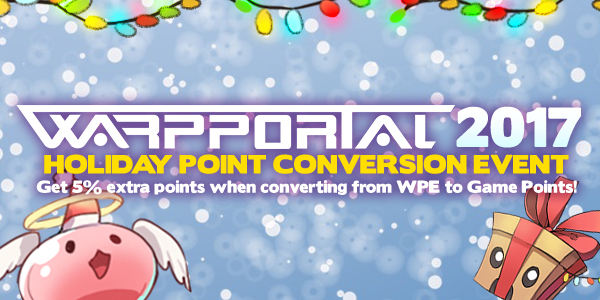 Warpportal is celebrating the holidays with a special Holiday Point Conversion Event! Gain 5% extra points when you convert from Warpportal Energy to Game points! This event will only last until 01/02/2018 so make sure to get those points before the deal ends!